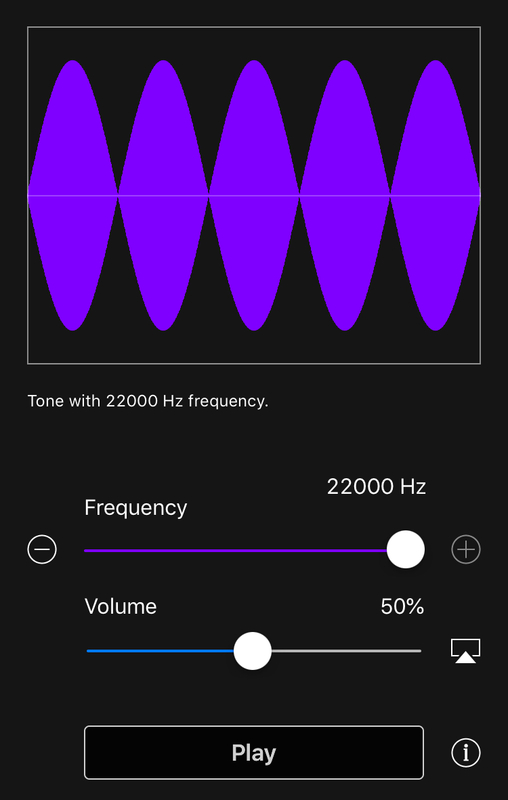 The Tone Generator app generates pure sine wave tones at frequencies from 20hz to 22,000hz. Tone generation is useful in tuning instruments, hearing tests, science experiments, and testing audio equipment. It’s a free download on the Apple App Store or Google Play store. What can Tone Generator be used for? Hearing Test: What is the lowest/highest frequency you can hear in each ear? Tuning Instruments: Does your top guitar string match Low E at 440 Hz? Science Experiments: What is the resonant frequency of your wine glass? Audio System Test: What frequencies does your subwoofer support? 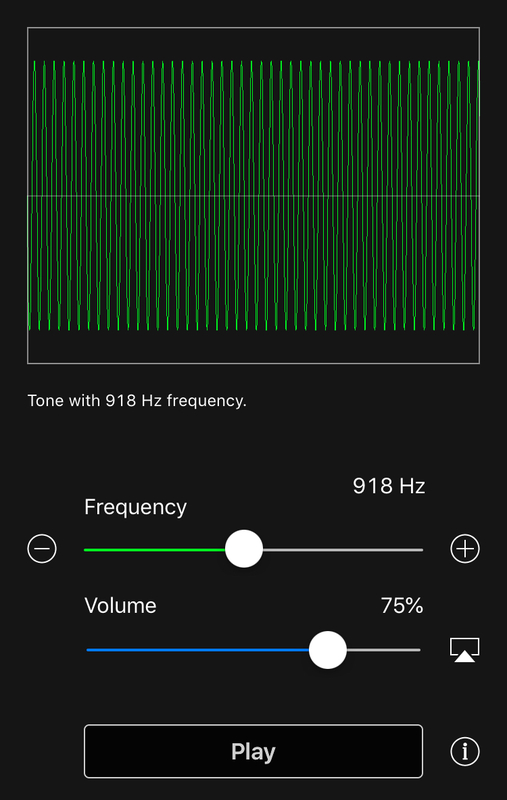 Adjust audio frequency by dragging the slider or tapping the plus/minus buttons. 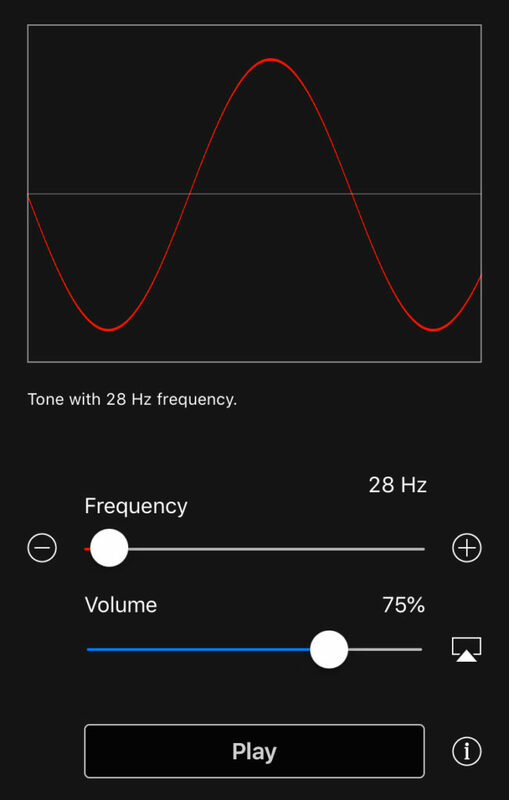 Adjust device volume using the on-screen volume slider. You can also specify to play audio to any AirPlay supported device. Toggle audio playback using the Play/Pause button.